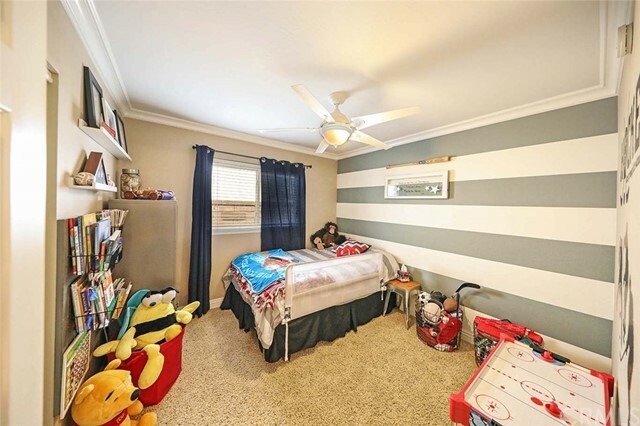 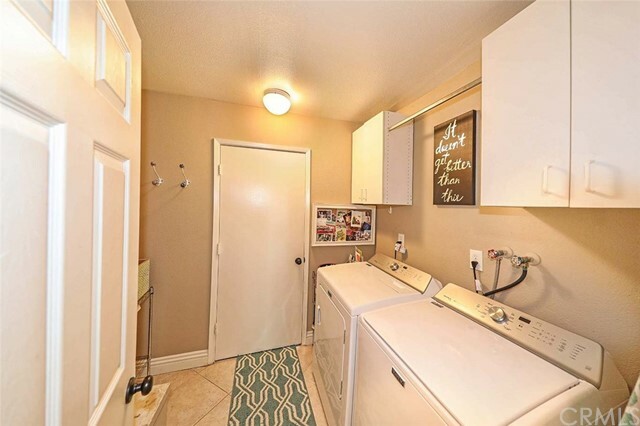 Stunning single level detached home on an oversized lot with an entertainer's back yard. 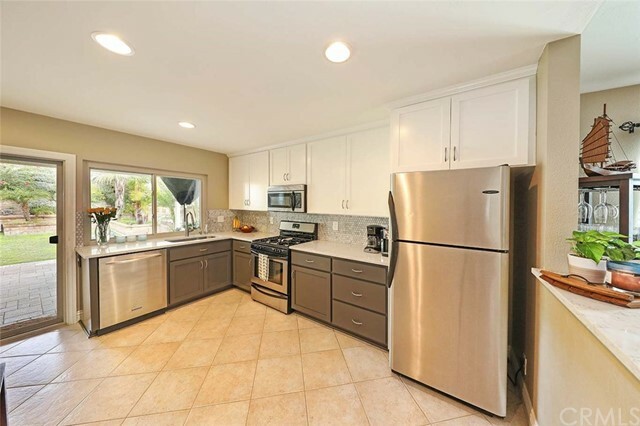 This recently remodeled 3 bedroom, 2 bath property is tastefully upgraded with up to date finishes including new kitchen cabinetry with roll outs & soft closing drawers, quartz counter tops, Carrera marble back splash, stainless appliances, large stainless sink, breakfast bar, extensive use of travertine in both updated bathrooms, granite counters, oversized tile flooring, designer white marble herringbone tiled fireplace front, crown molding, fresh paint, wired for surround sound inside & out, air conditioning, a whole house attic fan, inside laundry and a 2 car attached garage with direct access. 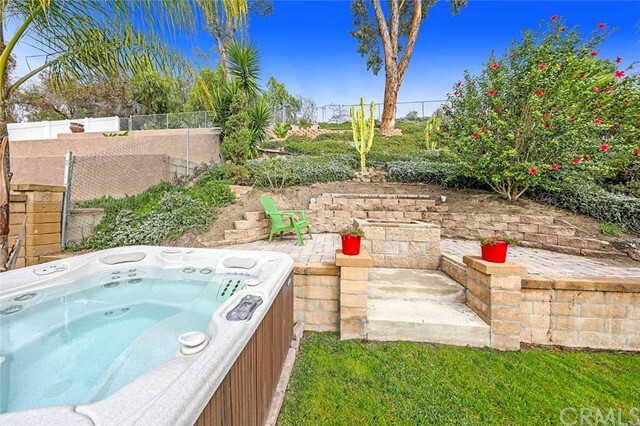 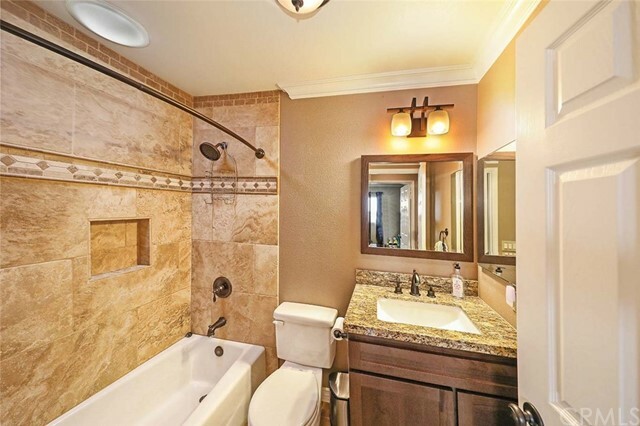 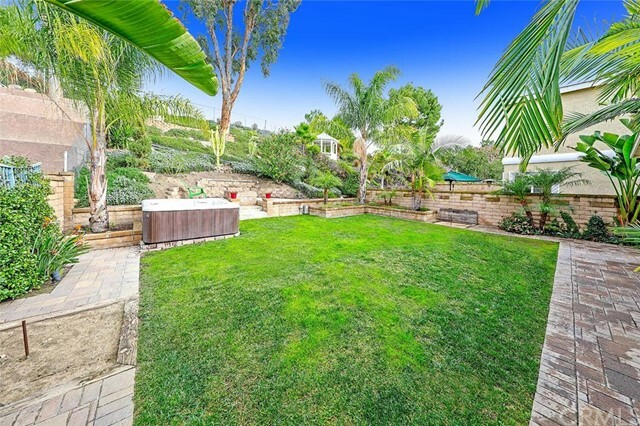 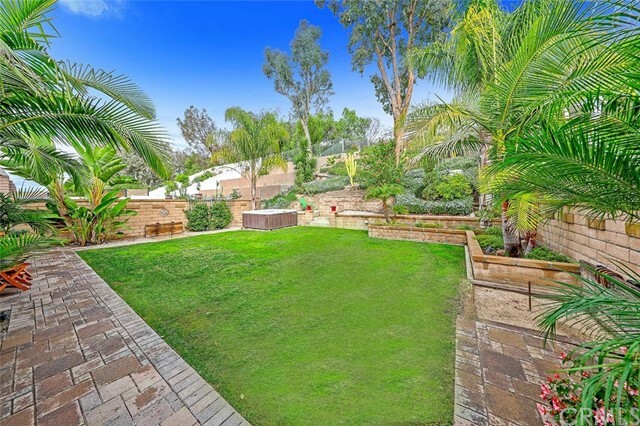 The exceptional back yard is spacious with plenty of grass, horse shoe pits, salt water spa, custom fire pit, lemon tree, exotic mature palms and a beautiful terraced garden with private path leading to the scenic hiking trail above the property. 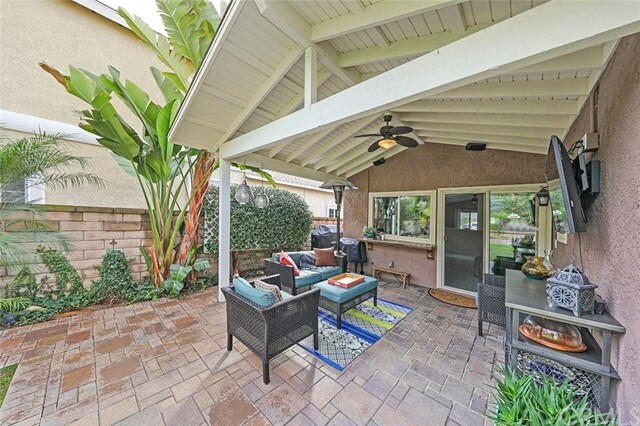 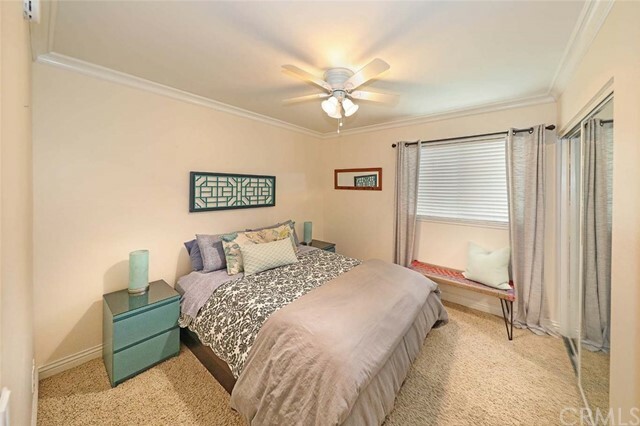 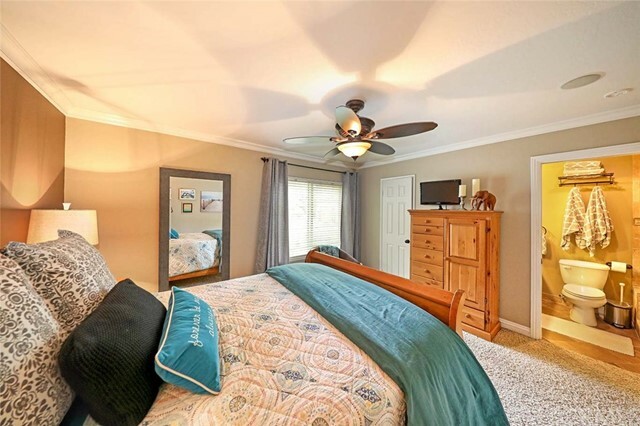 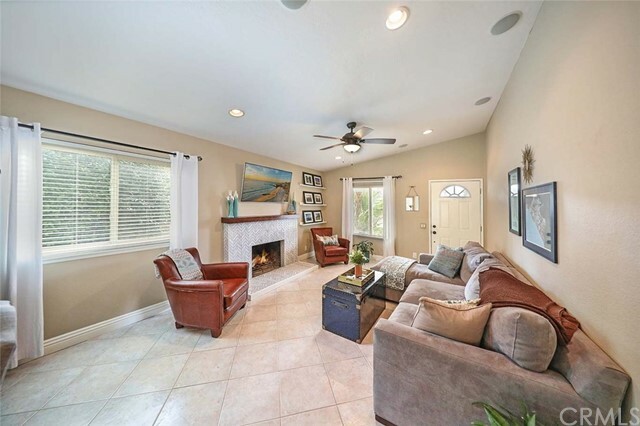 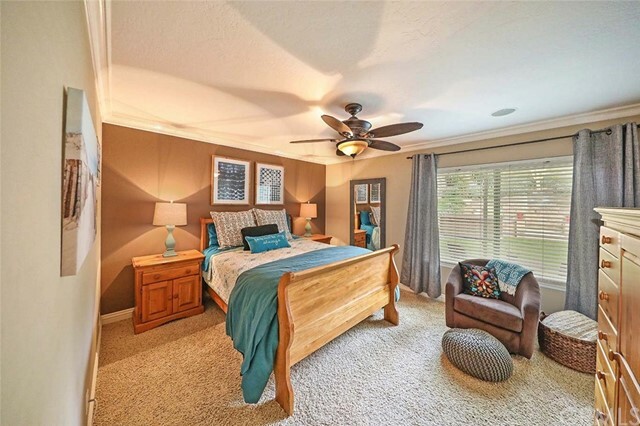 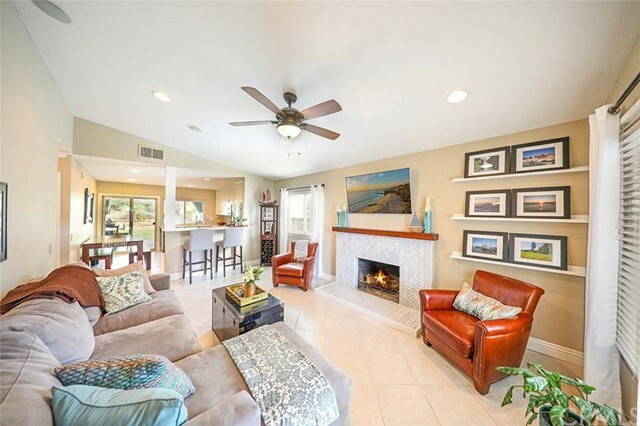 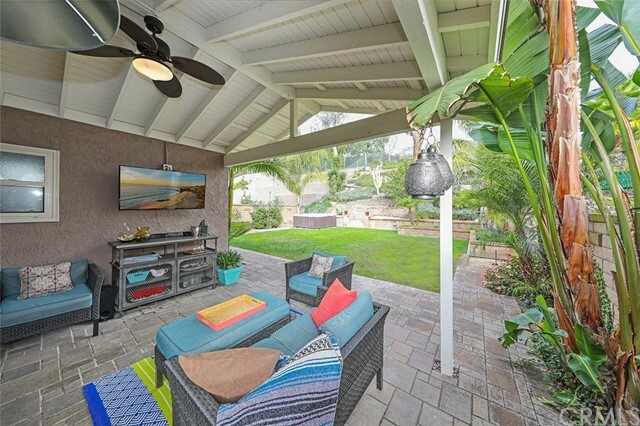 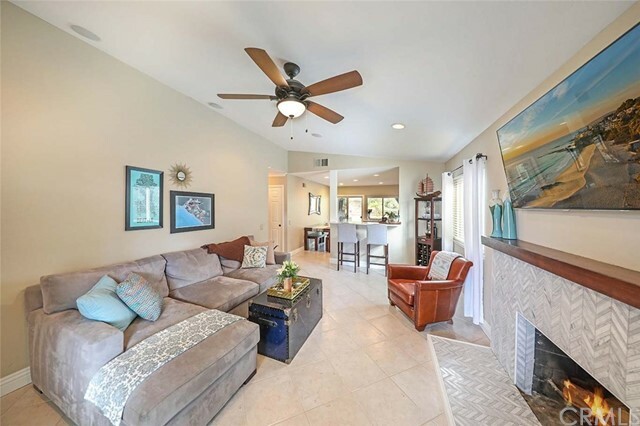 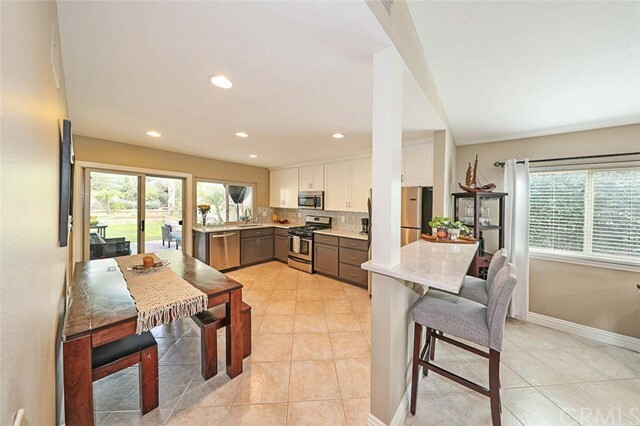 Extending the living space is an inviting covered front patio and a covered Cabana complete with ceiling fan & TV hookup to relax, entertain, watch children play or admire the amazing yard. 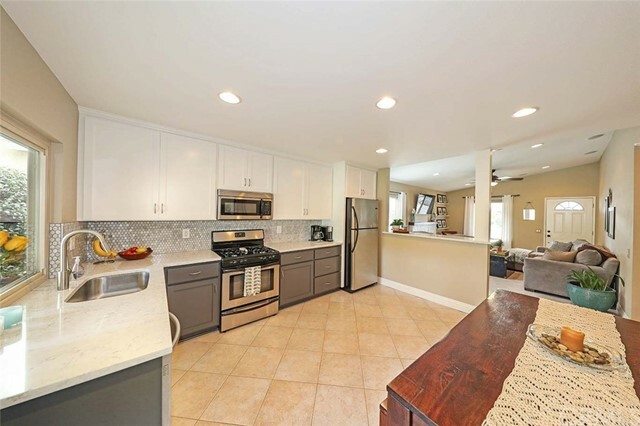 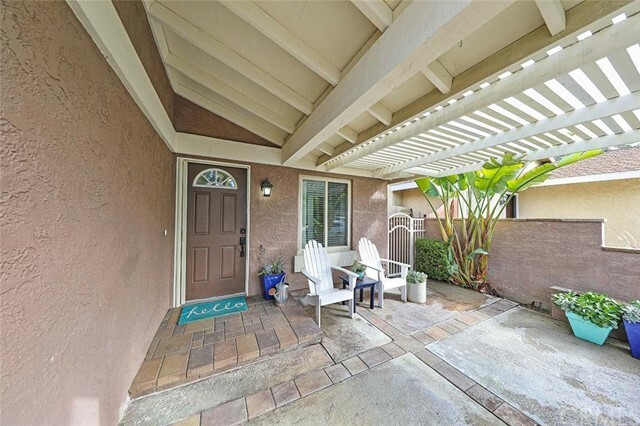 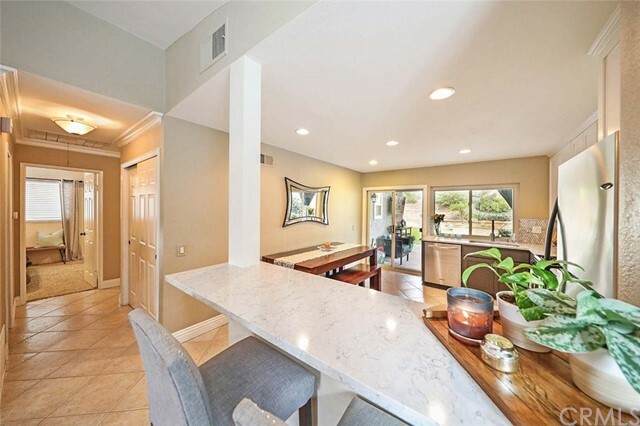 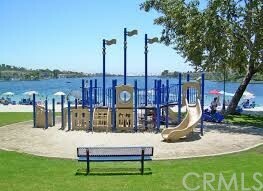 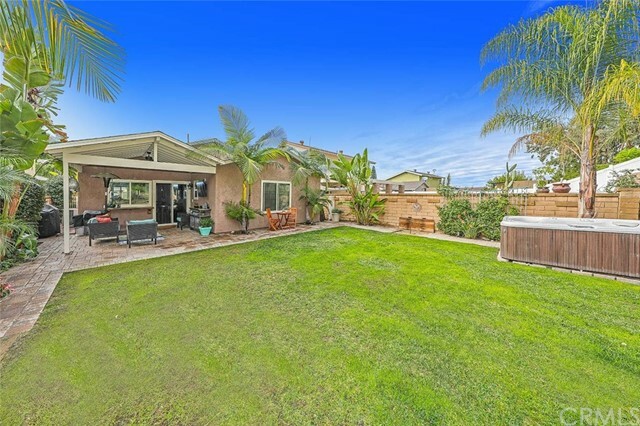 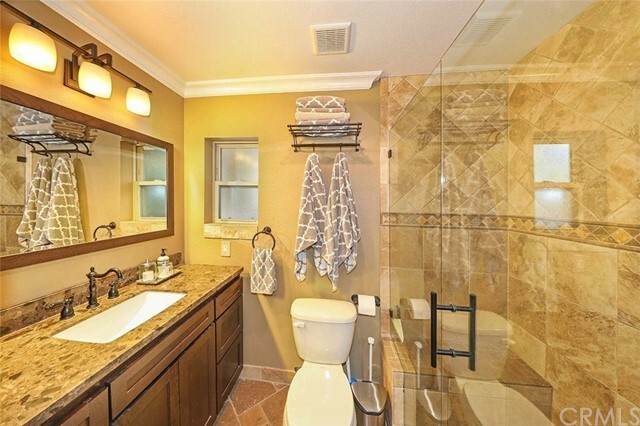 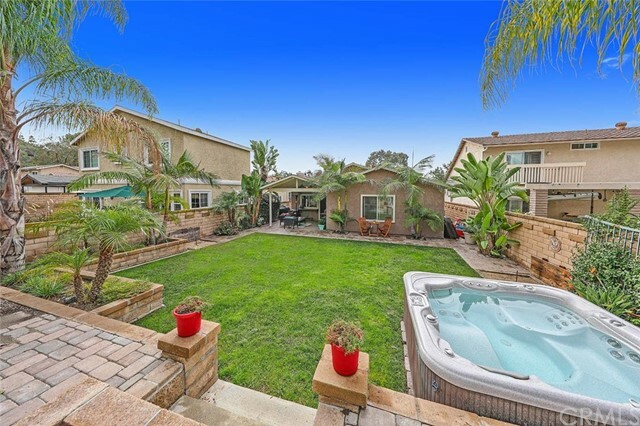 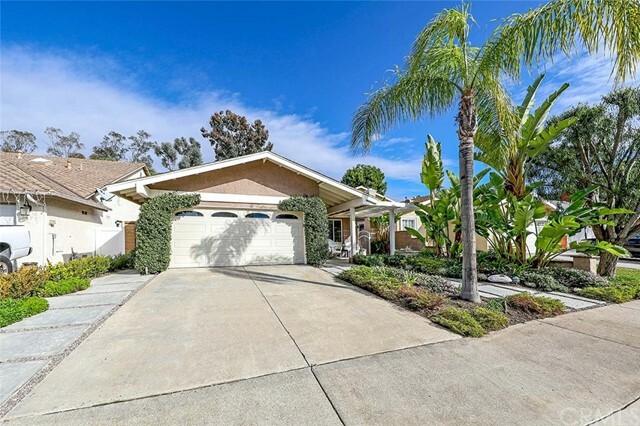 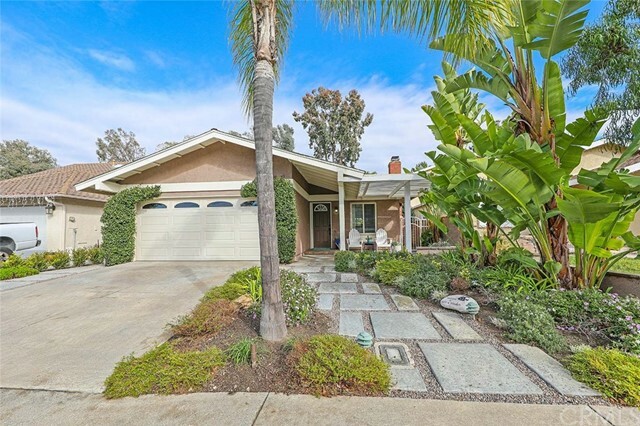 Lake Mission Viejo privileges and amenities include: hiking trails, picnic areas, BBQs, playgrounds, pier, dock, fishing, fun activities, sandy beaches, swimming, lifeguards & more.